We need to get real about brows. Yes, that little trend that took over every social platform and every magazine for the last two years? Remember? Well, contrary to what you would believe, the brow fad isn’t something that miraculously manifested in 2015. No, brows actually have been a huge statement piece all the way back to the early 1920s. Eyebrows are more than just a cute meme or hashtag. They are a direct impression of the style and attitude of a given time period. The evolution of brows can be seen through any moment in recent history and has been displayed on every leading lady of the last century. Now it can be argued who started what eyebrow shape, but by popularity standards, it is safe to say that the following women had a huge influence on the evolution of brows. Clara Bow of the roaring twenties brought eyebrows to the center stage. As a legendary actress, she herself was center stage, which gave her brows international attention. Miss Bow’s signature brow shape was long, thin, and widely arched. Women from all over the globe shared in this brow shape. The shape, in fact, marked the era, and today, it is one of the most popular trends to come out of the 20s. To follow would be the 1930s trend of darkening the brows. This was specifically seen in women, such as the singer, Billy Holiday. She would darken her eyebrows to tie in her brows with her hair and beautiful red lips. Darkening the eyebrows became more popular during this time because brow shapes seemed to get thinner, making the brows harder to see. Because of this, women moved into the ‘darkening era’ of the 1940s. Many mimicked the single, thin, dark arches of the late actress, Jean Harlow. Fast forward to the ‘diva era,’ where goddesses, like Marilyn Monroe and Eartha Kitt, reigned with gorgeous arched brows. These women changed brow shaping by using both their natural shapes, while combining them with stunning arches to add to their beauty. Later in the decade, a new diva showed up to the scene. Her name was Elizabeth Taylor. The young actress introduced the jaw-dropping beauty of thick, luscious brows. Her trademark got international fame and changed eyebrow fashion for years to come. Throughout the 50s, 60s, and most of the 80s, women imitated her and began keeping their thicker brows. We have come a long way since the non-arched, pencil-thin brows of the 20s. Today, we have seen the evolution of eyebrows from thick, thin, plucked, arched, and everything in between. Currently, the brow shape to mark our era is a natural eyebrow. After years of maintenance with tweezers and wax, our evolutionary road has taken us back to our roots with a fuller, more genuine brow shape. Stars, like Cara Delevingne and Lily James, have made this look popular, and the assistance of media platforms have made the brow shape internationally acclaimed. 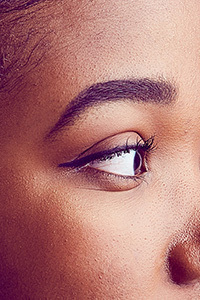 Part of the brows success can be based on the fact that it is an all-inclusive aesthetic, meaning women from all different cultures and backgrounds can share in the trend. The shape signifies our current value in natural and genuine beauty. 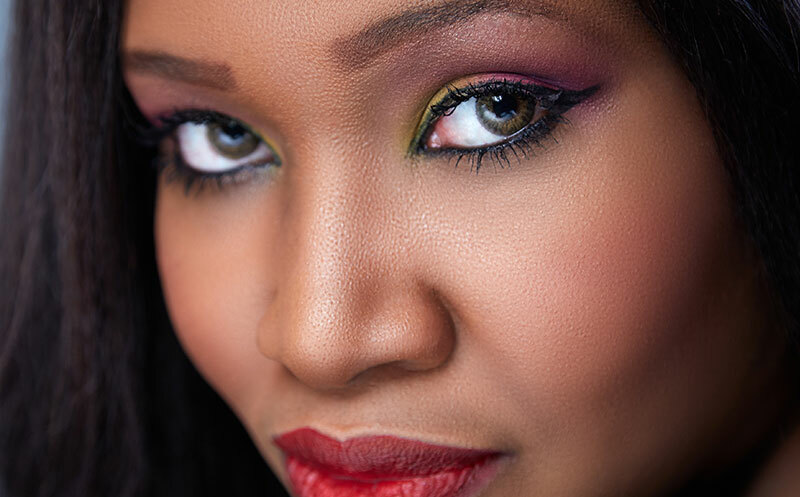 Although the brow world has unified under a thicker, more honest look, not all can claim this shape naturally. For example, not everyone was graced with incredible, natural-looking eyebrows. Many, including those who lie and say their brows are ‘real,’ still have to repeatedly purchase eyebrow pencils. Because the look right now is fuller brows, many have to take extra measures to ensure their little brows are drawn in enough to see. To complete brow perfection, it takes a lot of time and a complete mastery of shaping. Often times, there are more bad brow days than good. Bad brow days often occur when a woman has either darkened her eyebrows too much or followed her eyebrow shape too sharply. Both mistakes are disastrous and can leave brows looking rigid and fake. The best way to combat these brow faux pas is to invest in a good eyebrow shaping brush. The brush softens pencil lines and helps to create “feathered” or “fluffed” brows. Both these styles are extremely desired by the eyebrow standards of today. Again, however, shaping is a professional technique, many times you could use the brush too much which results in brows looking dirty or non-existent. Never fear, there is light at the end of the tunnel and a new revolution has just begun! Now more than ever there is increasing popularity in semi-permanent brow shaping. This technique is called, Microblading. In this simple procedure a trained professional marks out your desired shape and places pigmentation on the top layers of your skin. This cosmetic procedure thickens even the thinnest brows and reinforces eyebrow shape. Whether you want to thicken or re-shape your eyebrows, microblading is the way to go! 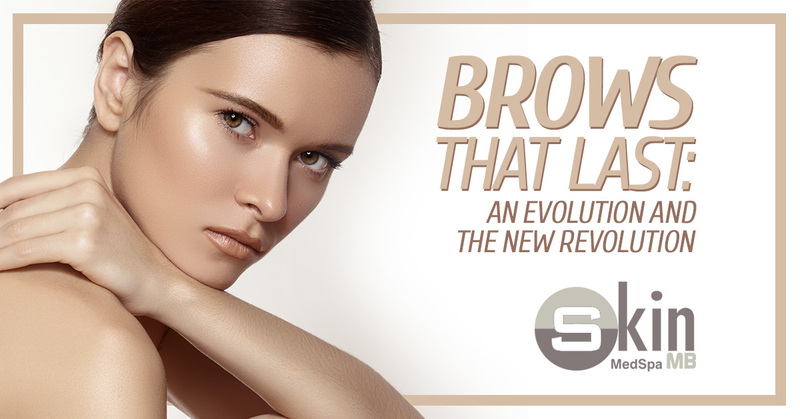 If you are at all interested in perfecting your eyebrows visit Skin MB online today. Join the new eyebrow revolution!